You’ve undoubtedly read the horror stories about predatory payday lenders and the cycle of debt that follows along with them. In fact, the problem eventually grew so massive that the state of North Carolina decided to step in and create legislation to protect citizens from these dangerous lenders. Since 2006, it has been illegal for any payday loan business to operate within the state. Now, a new breed of predatory loan is causing bigger problems for debt-ridden families…tribal payday loans. The tribal loan business is generally conducted online. These companies claim to be run by Native American tribes, which is where the term “tribal loans” originated. So what’s the difference between traditional payday loans and those offered online via Native American tribes? Very little. Tribal loans, just like payday loans, are a dangerous debt trap. One obvious concern is that tribal lenders offer larger loans. 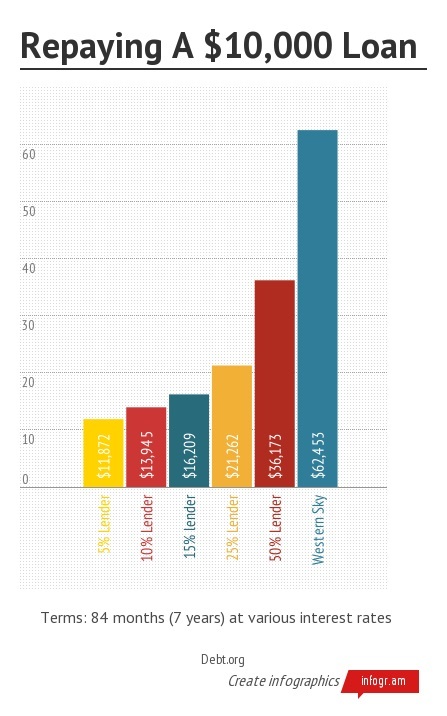 Instead of lending $300 or $400 like traditional payday loans, many tribal lenders offer loans of up to $10,000. They also carry astronomical interest rates, most averaging over 300 percent. So, if you take out a $10,000 loan and stick to the tribal lenders suggested payment plan, you’ll end up paying back more than $62,000 over seven years. 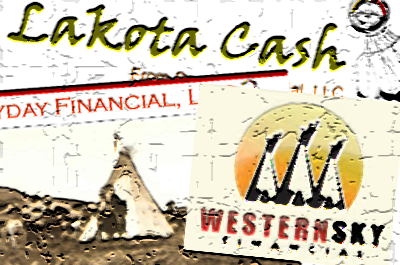 Tribal loans carry extreme costs and your payments are scheduled along with your next payday. In addition, the loans are designed to create a cycle of debt just like typical payday loans. Most customers are unable to pay off the loan when the due date rolls around on payday, so they borrow again and again. There are also many reports that tribal lenders engage in abusive and unlawful debt collection practices. One small difference is that tribal loans are labeled as “emergency cash infusions”. What that means is that the tribal lender will ask for your bank account number upon loan origination, then the loan payments will be automatically withdrawn from your bank account. This usually ends up being another huge hassle for customers, as the tribal lender can withdraw money from your account at any time to recoup interest payments on the loan. So, you may be asking yourself how these operations are legal if payday loans were outlawed by the state of North Carolina in 2006. This is where it gets a little tricky. Native Americans who live on reservations claim immunity from both state and local rule. Under the guise of a Native American tribe, lenders set up shop online and claim they are exempt from state law. That means states are not able to regulate tribal businesses due to long-standing treaties established with the federal government. It also means these lenders are immune to state consumer protection laws. Tribal lenders claim they are bound only by federal regulations, which are traditionally much less strict than state imposed regulations. Another issue is that many of these “tribal” lenders aren’t really operated by a Native American tribe. Instead, they are operated by a few lone members of a tribe or by backdoor banks who partner with tribes. These lenders are essentially able to use a legal loophole to get around those states, like North Carolina, who outlawed payday loan operations. Pretty sneaky, huh? As with traditional payday lenders, it’s important for you to understand the danger associated with predatory lending. The old adage “If it sounds too good to be true, then it probably is” rings absolutely true with tribal lenders. While they offer quick cash with no money down and no credit check, they also get 24/7 access to your bank account and charge insane amounts of interest, fees and penalties. It’s a no win situation. Most people who use payday loans are already struggling with debt problems, unable to make ends meet on a day-to-day basis. While the promise of fast cash may seem like a life-saving at the time, in the end, it’s nothing but debt disaster. If you’re drowning in debt and unable to pay your bills, it may be time to consider filing Chapter 7 or Chapter 13 bankruptcy. Instead of turning to a predatory lender, locate an experienced North Carolina bankruptcy attorney and schedule a consultation. Find out how bankruptcy can help your situation and let you start with a clean financial slate today.